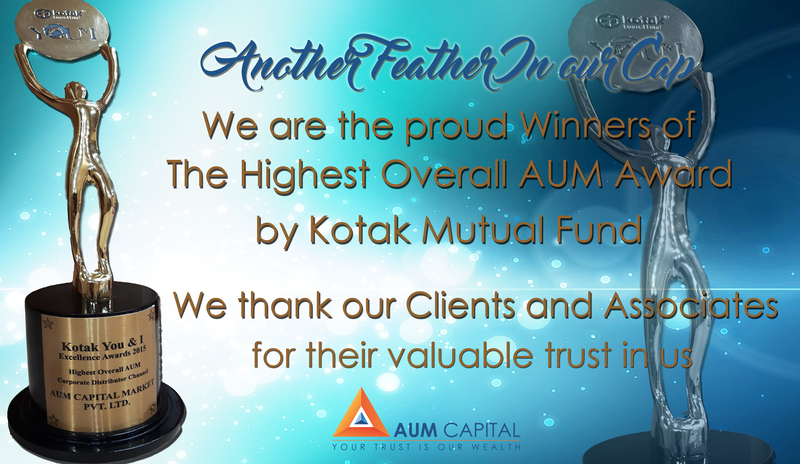 With a strong intellectual base coupled with an un-parallel bouquet of products and services, AUM Capital has emerged as the preferred advisor for the discerning customer. The 360 degree approach to address customer needs has cemented relationships with corporate and institutional client franchise. 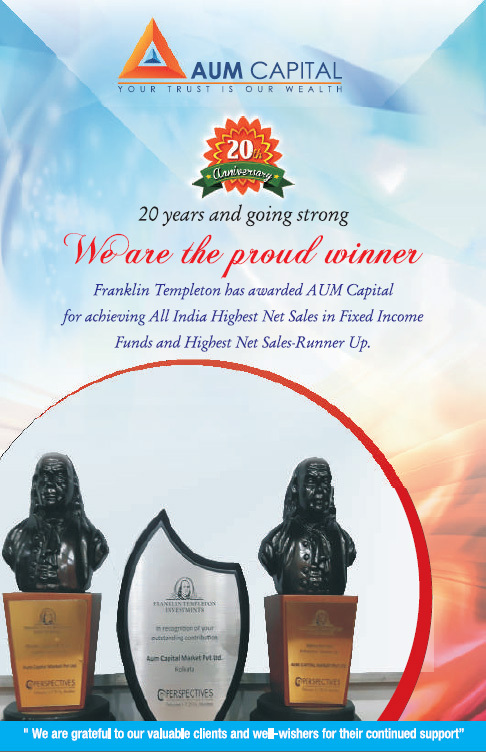 Incorporated in 2005, AUM Cap is headquartered in Kolkata with branches across India. We, at AUM, strive to maximize the value we bring to our Customers and Business Partners through committed and excellent service operations. We have an array of Financial Products and Services alongwith an efficient manpower who are always up and working to create maximum advantage for our customers and business partners. Thus, we endeavour to make Fair Dealing a core practice in everything we do, complementing our Motto – “Your Trust is Our Wealth”. Our offerings span across Wealth Management, Equity Broking, International Finance, Trade Finance,Insurance Broking & Commodity Broking By Subsidiary, Etc. and provide a holistic solution for the client. With exclusive services in the securities business, we provide a full spectrum of services to all our clients and financial intermediaries. Its sales people, research analysts provide unique products and premier facilitation. We provide product innovation, research and advice, and comprehensive access to the worlds’ capital markets. Mr. Bijay Krishna Datta Ex-Executive Director of UCO bank. 37 years of global experience, spanning multiple roles and geographies. Played an important role in implementation of UCO Bank's turn around strategy and was also the major force behind the maiden IPO of UCO Bank in 2004. Held the position of Nominee Director representing Govt. of India in the Board of Industrial Investment Bank of India (IIBI). A prolific writer in the fields of banking and finance, with many articles being published in national news papers and magazines. 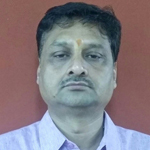 Mr. Dinesh Jain Mr. Jain is classic Entrepreneur who over the past 27 years has led many successful businesses in India, in the financial space and other growing sectors. Mr. Jain has been involved in Indian capital markets and asset trading since the very moments of the inceptions of these activities in India. He pioneered many businesses that are now standard fare. In his role with AUM Capital Mr. Jain brings his vast financial experience coupled with a greater role to guide the business while ensuring responsibility, transparency, honesty, mentoring, and ensuring client goodwill. 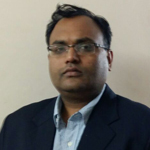 Mr. Jain is also a Chartered Accountant, Company Secretary, Costs and Management Accountant, and an MBA. 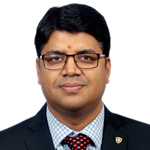 Mr. Aditya Vikram Choudhary Mr. Choudhary comes to the Board with a varied and successful Financial background. Currently, Mr. Choudhary is responsible for developing our Wealth Management and HNI businesses at AUM Capital. Aditya was heavily involved in his family business of Jute, Tea and Textiles. Mr. Vaibhav Jain A Xavierian and a Company Secretary degree holder, Finance comes naturally to Vaibhav. He got through the Best Commerce colleges of India including SRCC & St. Stephens, but he chose to study in Kolkata to join his father at AUM Capital. Being the son of a Finance trouper was never easy, it came with high expectations and even higher responsibility but he impressed everyone with his sheer humility & professional accomplishments. 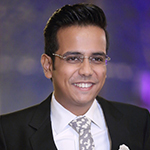 Due to his youthful enthusiasm, passion and dream to achieve big at early age, he now serves as the youngest Director of the company and managing the office at Mumbai-the Financial Capital of India. He has been instrumental in shaping AUM’s strategy and aligning it with the future business landscape with a dream to take the company to newer heights. 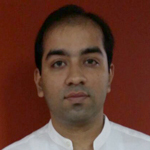 A Xavierian from Kolkata and MBA from ICFAI Hyderabad, Praveen also has an FRM degree up his sleeve. 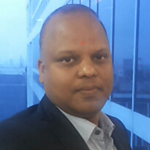 Specializes in Finance, he has been taking care of Trade Finance business in AUM since 8 years now. is fellow chartered accountant having more than 20 years of experience in financial market. 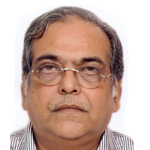 Previously he was associated with S.R.Batliboi & Co. and has good exposure of accounts, audit and treasury operations. Heading Secretarial, Legal & Compliance department of AUM Group since last 9 years. 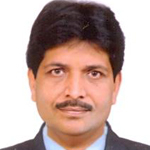 He is BCom, FCMA (Fellow Member of The Institute of Cost Accountants of India), LLB and ACS. 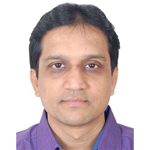 He is having more than 29 years experience with versatile knowledge in various fields. 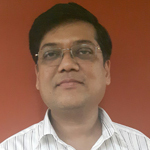 A post graduate in commerce from Calcutta University, he has gained wide experience in the last 22 years. 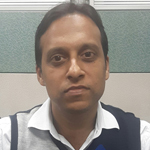 Prior to joining Aum Capital, he has gained in depth knowledge of the Financial Markets while working with Capital Market Publishers, Lohia Securities, CD Equisearch & Eastern Financiers. 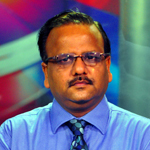 As head of the Equity Research Wing, he appears regularly as Guest Analyst at CNBC, CNBC Awaaz, CNN-IBN, NDTV Profit, Zee Business, Bloomberg TV, ET Now etc. apart from which his views are often published in almost all the leading financial publications. AUM Capital is committed to upholding the highest standards of corporate governance and ethical conduct. The Board of Directors and the Managing Director, ensure adherence of the firm to the Corporate Governance Best Practices. The Board of Directors at AUM Capital recognize the importance of corporate governance practices that help ensure an environment of effective oversight and strong accountability. The Board of Directors take the responsibility to ensure improvement and building of the company's strong corporate governance practices. It aims at providing oversight of the company's affairs in order to maintain the strong governance practices the company follows. All employees are expected to report any kind of crime, violation of law and breach of trust by another employee or agent of the company. It is the responsibility of every employee to protect all business related information relating to customer or company. All employees are expected to properly care for and protect company property and assets, which should be used for legitimate business purposes only. Every employee is expected to comply with applicable law and government regulations. All records and reports are to be prepared accurately and retained in accordance with applicable requirements. Those acting on behalf of AUM have a general duty to conduct themselves in a manner that will maintain and strengthen the public's trust and confidence in the integrity of AUM and take no actions incompatible with their obligations. To pay attention to personal grooming and adhere to the decent clothing. To maintain a healthy work environment, substance abuse , or selling, manufacturing, distributing, possessing, using or being under the influence of illegal drugs and alcohol while at work is absolutely prohibited. Possessing and using of firearms/weapons and ammunition while at work is absolutely prohibited. The company policy prohibits harassment of any kind, including harassment based on pregnancy, childbirth, race, colour, religion, gender identity, medical condition, age, sexual orientation, or any other basis protected by law. Reporting any activity reasonably believed to violate laws or regulations or AUM's policies or procedures. Ex-Executive Director of UCO bank. 37 years of global experience, spanning multiple roles and geographies. Played an important role in implementation of UCO Bank's turn around strategy and was also the major force behind the maiden IPO of UCO Bank in 2004. Held the position of Nominee Director representing Govt. of India in the Board of Industrial Investment Bank of India (IIBI). A prolific writer in the fields of banking and finance, with many articles being published in national news papers and magazines. Mr. Jain is classic Entrepreneur who over the past 27 years has led many successful businesses in India, in the financial space and other growing sectors. Mr. Jain has been involved in Indian capital markets and asset trading since the very moments of the inceptions of these activities in India. He pioneered many businesses that are now standard fare. In his role with AUM Capital Mr. Jain brings his vast financial experience coupled with a greater role to guide the business while ensuring responsibility, transparency, honesty, mentoring, and ensuring client goodwill. 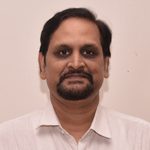 Mr. Jain is also a Chartered Accountant, Company Secretary, Costs and Works Accountant, and an MBA. A Mechanical Engineer from IIT, Chennai and a Master in Business Administration (Finance) from University of Cincinnati, Ohio, USA. 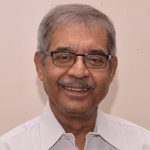 He has rich experience of about 35 years in banking & Finance and worked in various leading capacities in a Nationalized Bank, last being the General Manager. 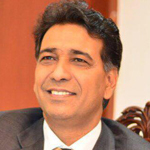 His specialized knowledge and skill in Business development, International Banking, Credit dispensation, Risk Management and Inspection & Audit is always considered as additional strength to the Board of our company. 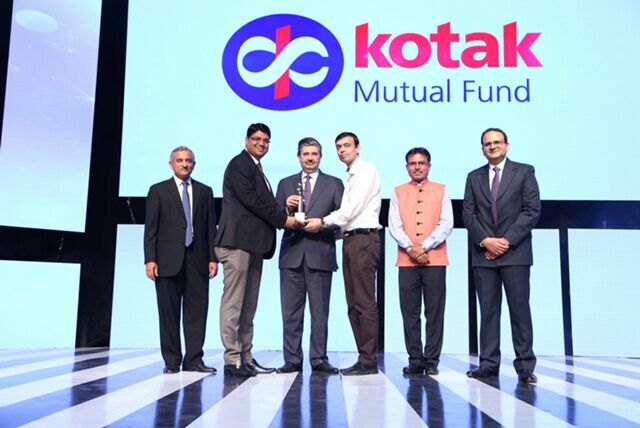 He was an associated member in the Sub committee of Indian Bank’s Association on 'Integrated Risk Management'. He was also a member in the Bankers’ Group on BASEL II implementation & Risk Management constituted by Indian Bank Association. His contribution in the informal group set up by RBI on “HRD Efforts in Risk Management” was significant. He has authored modules on ‘Risk Management’ and ‘Bank Financial Management’ for Indian Institute of Banking & Finance. He has been imparting training to the senior Management cadres in several institutions, as guest faculty. 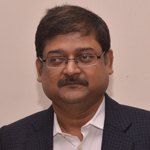 Mr. Choudhary comes to the Board with a varied and successful Financial background. Currently, Mr. Choudhary is responsible for developing our Wealth Management and HNI businesses at AUM Capital. Aditya was heavily involved in his family business of Jute, Tea and Textiles. 5, Lower Rawdon Street, Akaashdeep 1 st Floor, Kolkata 700020,India. Aum Commodity Services Pvt Ltd,(group company of Aum Capital Market Pvt.Ltd. )is a member of MCX.  MCX Member ID 29600. SEBI Registration INZ000050137. 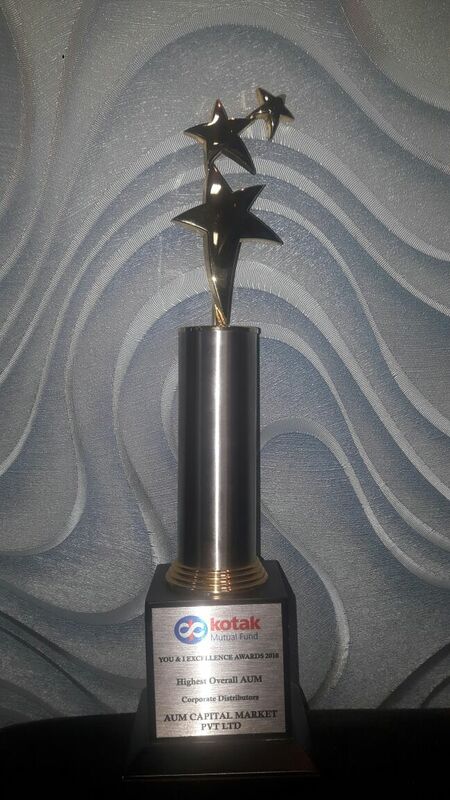 Aum Capital Market Pvt. Ltd. is a distributor of Mutual Fund & IPOs.Investment in Securities is subject to market risk.